Camelford is a town in north Cornwall, England, United Kingdom, situated in the River Camel valley northwest of Bodmin Moor. 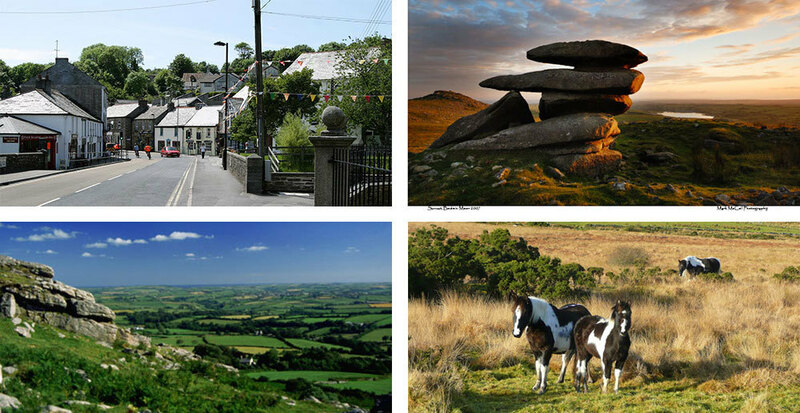 The town is approximately ten miles north of Bodmin on the edge of Bodmin Moor. There's so much to do, see and explore while on holiday in Cornwall. 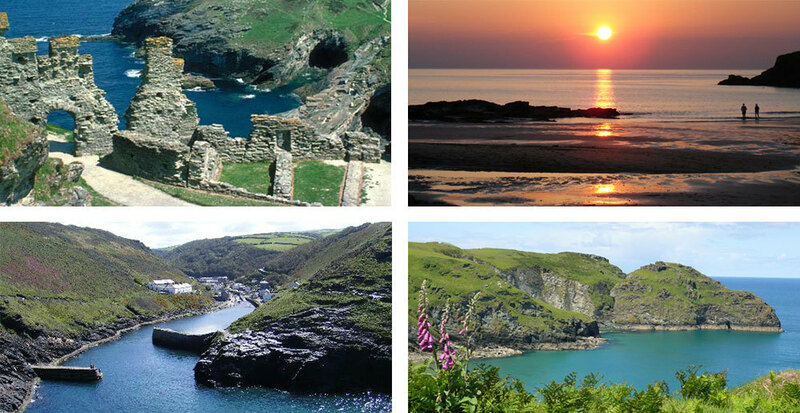 With the longest stretch of continuous coastline in Britain, you'll discover tiny Cornish fishing villages, secret coves, spectacular beaches, sweeping bays and dramatic cliffs, plus beautiful moorland and stunning countryside just a few miles from Port Issac home of Doc Martin, Boscastle, Tintagel and Padstow to name just a few. Fishing and fish-processing were also important and today there are still fishermen working from the harbour today. 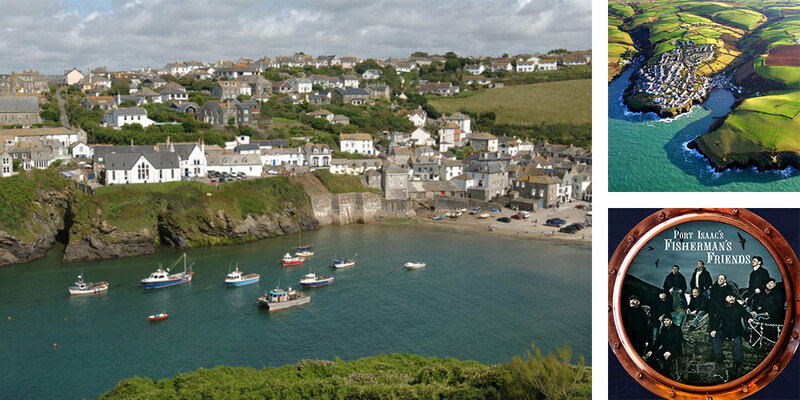 Port Isaac is the setting of the fictional village of Port Wenn in the ITV series Doc Martin starring Martin Clunes. The Docs surgery is Fern Cottage, The villiage shop was filmed in the liberal club, the chemist is actually a house called Little Dolphins and many other locations are there for you to discover. The Fisherman's Friends are shanty singers, who have delighted visitors and locals in Port Isaac for more than 15 years. Down on the harbor front, the authentic sound of the shanty can be heard loud and clear via the mighty, brawny chorale of The Fisherman's Friends. At around eight in the evening during the summer months, tourists and locals gather to hear this ten-man group mesh their voices in an incredibly rousing and joyful set of shanties and Cornish folk songs. There's more to Boscastle than a picturesque natural harbour and village.The Elizabethan quay sits in an impressive amphitheatre of steep cliffs and is home to quaint stone-built cottages, shops and tearooms. Much of the land in and around Boscastle is owned by the National Trust. Venture beyond the picture-postcard harbour and a cliff path takes you to the Willapark headland and an intriguing ex-folly, now used as a Coastwatch lookout. Nearby walks around Forrabury Stitches offer a rare glimpse at a surviving farmed landscape showing ancient celtic strip fields. If you wander further afield, you'll discover the half-forgotten churches of Minster and St. Juliots - once made famous by Thomas Hardy. Tintagel is a marvellous experience of mystery, myth and magic - a place where kings rule and a legend lived. Be inspired by 2,000 years of history in the glorious setting of one of England's most stunning coastlines. You can see Atlantic breakers crash against the cliffs, and glimpse Merlin's cave as you climb the path to Tintagel Island. Explore the ruins of the 13th-century settlement of the Earls of Cornwall. Located in an Area of Outstanding Natural Beauty the Haven lies on the north coast just a few miles from Boscastle. Once a small harbour importing coal and limestone from Wales, which narrowly escaped industrial development in the 1800s, it is now a small unspoiled, almost secret, cove with something for everyone. From the car park you can follow dramatic coastal walks to the north and south or take a wooded valley walk inland. Enjoy the breathtaking scenery and wildlife whilst benefiting from the fresh air and health promoting physical activity. Spend time exploring and relaxing on the beach which is pebbly at high tide yet reveals sand and interesting rock pools as the tide ebbs away; enjoy a paddle or catch a wave on your boogie board; observe the famous zig-zag folds and faults in rock formations formed millions of years ago, from black shale, sandstone and quartz veins. Free land train pulled by a tractor. Heligan, seat of the Tremayne family for more than 400 years, is one of the most mysterious estates in England. Pencarrow House and Gardens lies at the foot of a sweeping valley between Bodmin and Wadebridge in Cornwall. The largely Georgian mansion is still owned and occupied by descendants of the family who settled there in the 1500s. Open to the public since the 1970s, Pencarrow House and Gardens is a great day out for families, history enthusiasts, nature and garden lovers, and of course the dogs. The family members are very involved with events and day-to-day management of the estate, as they face the ever-changing challenge of maintaining a historic home in the 21stcentury. An easy route: traffic-free, smooth surface and virtually level, the trail is safe for families and easy to use for the mobility impaired. The experience is guaranteed to be memorable, providing breathtaking views across the Camel Estuary within an Area of Outstanding Natural Beauty. 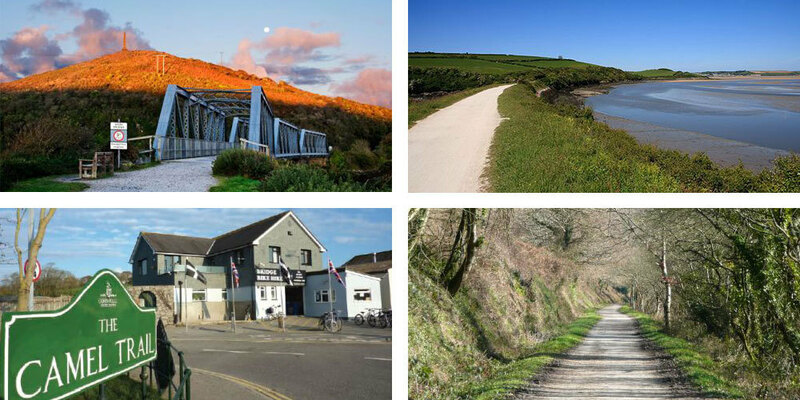 The Camel Trail has links to The St Piran Trail, The Coast and Clay Trail and The North Cornwall Trail. The trail is suitable for walkers, cyclists, horse-riders and wheel-chair users.